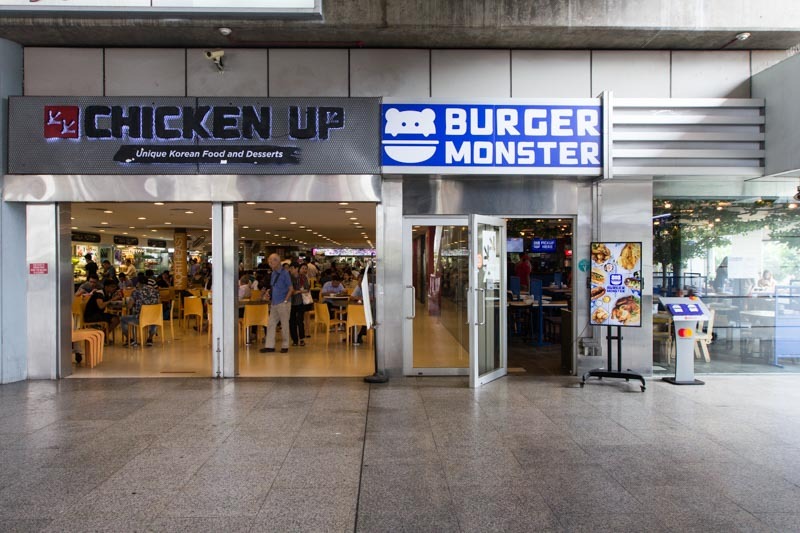 If you’re a fan of all things Korean, you’re in luck because Burger Monster has popped up recently at the ground floor of Jurong East MRT Station and it’s Singapore’s first ever Korean burger outlet. 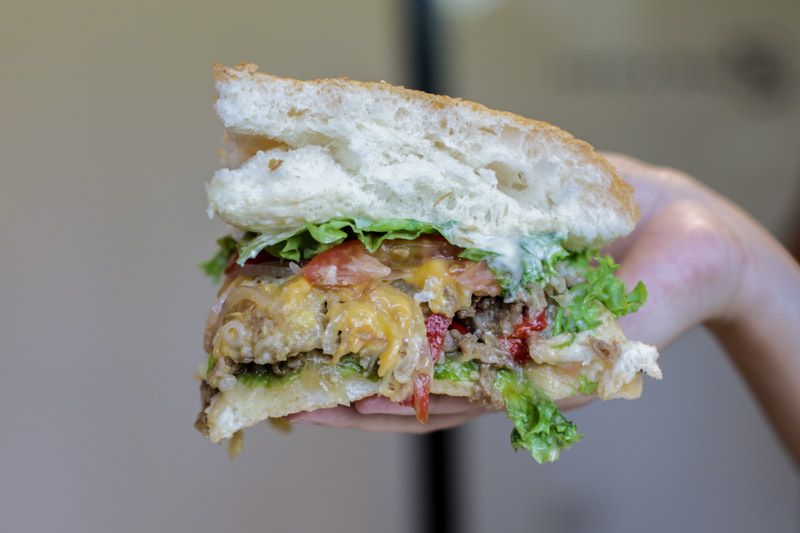 Opened by the same folks behind Chicken Up, this restaurant takes inspiration from the massive burgers that you can find in Korea. 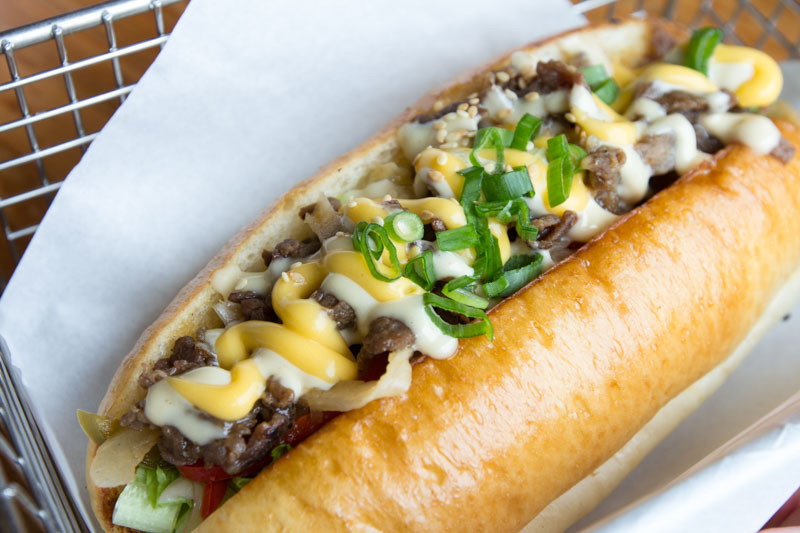 The Bulgogi Beef Rolls ($3) are extremely similar to the ones available in Korea at Lotteria. The meat was served in an unorthodox way, in chunks instead of slices, but it didn’t detract much from the roll at all. The bun was also fluffy and soft, with a good crunch and freshness from the lettuce. 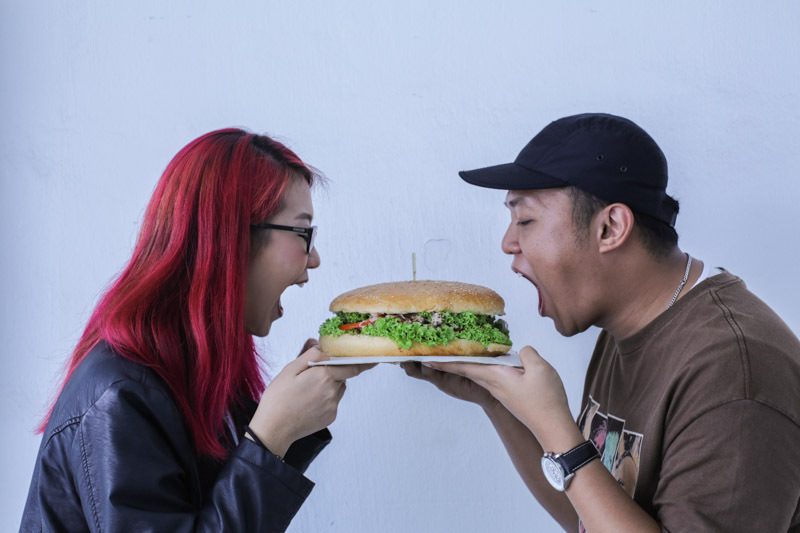 But the burger to try is definitely the Monster Burger ($20), a hulking 20cm that’s meant to be shared among three or four people, perfect for a group outing with a few friends. Filled with a thick layer of bulgogi (Korean marinated beef), tomatoes, onions, lettuce and cheese, this burger is insanely filling. I found it a bit on the sweeter side though, with the sweetness from the caramelised onions and bulgogi shining through. The biggest issue with the burger was that the juice from the meat seeped into the buns and turned it a little soggy after time, but that won’t stop me from ordering it again. Alternate bites of the burger and sides like the Mini Lobster ($12). 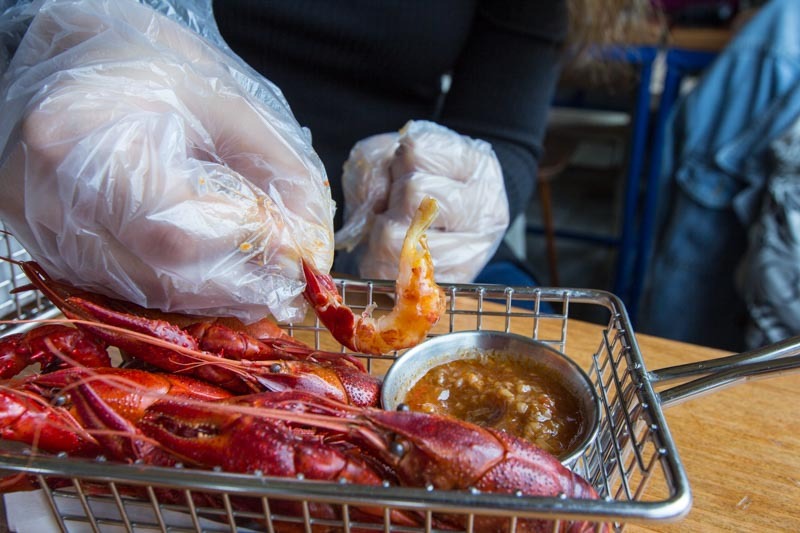 The mini lobsters were served in a small metal basket and a container of chilli crab sauce by the side. They were fresh with a good amount of meat, and the spicy-sweet sauce paired perfectly with it. 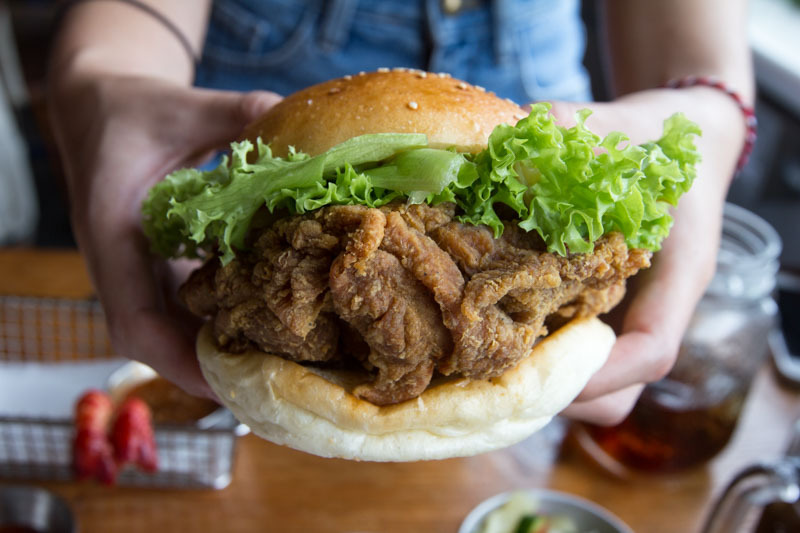 The Fried Chicken Burger ($5) composed of a super thick chicken cutlet can be shared by two hungry people. The breading was crisp and the chicken was tender and moist. 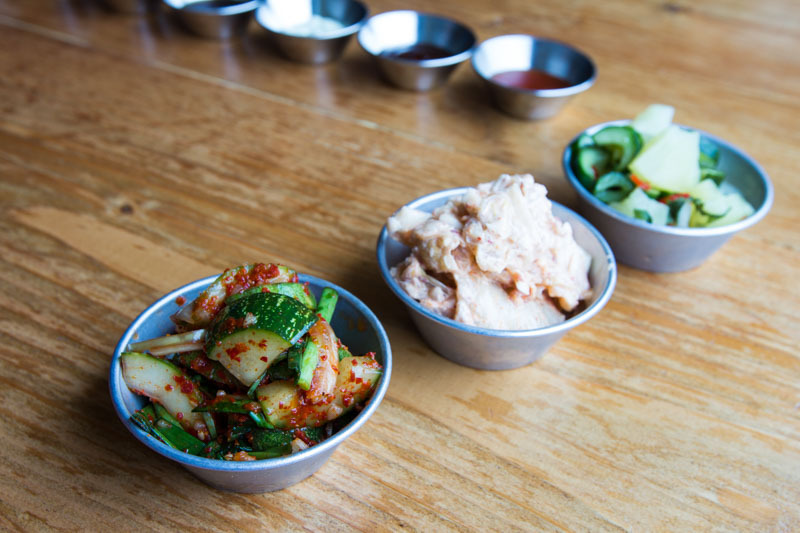 Grab the Cucumber Kimchi ($2) to refresh your palate in between heavy dishes. The thin slices of cucumber were crunchy and refreshing, alleviating the greasiness. 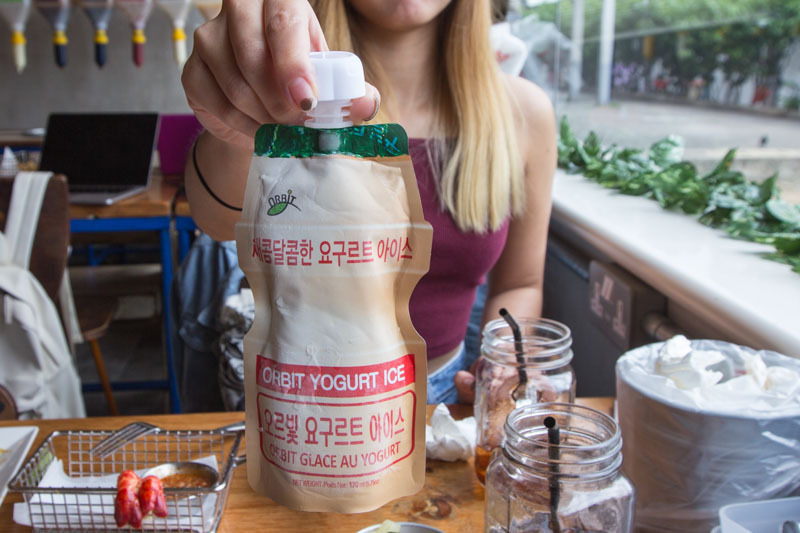 End off your meal with the Orbit Yogurt Ice ($4), a Korean yogurt dessert that’s a cross between jelly and slushie, perfect for the hot days in Singapore! It might be a little too frozen at the start, so order it with your food and leave it to melt slightly so that you can immediately enjoy this after your meal. 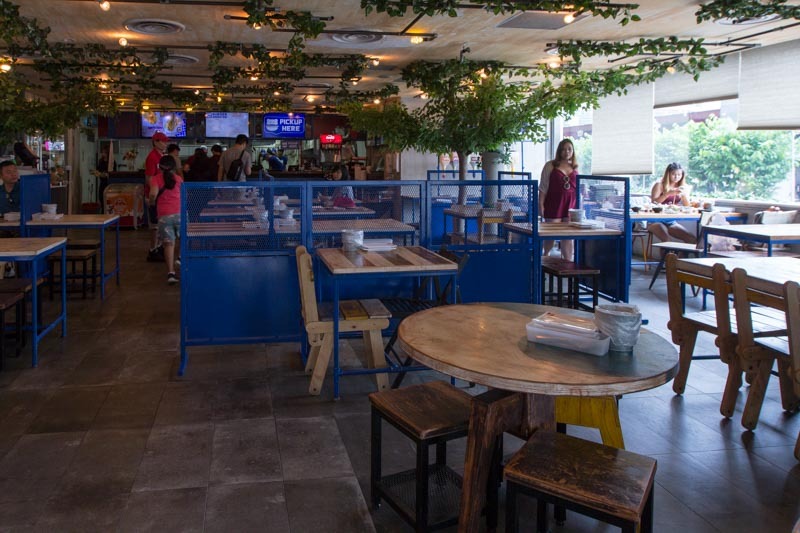 While I’m not going to make a trip down to Jurong East specially for a burger, Burger Monster is a great place to have lunch with friends if you’re already in the west. Grab the Monster Burger and stuff yourselves silly!